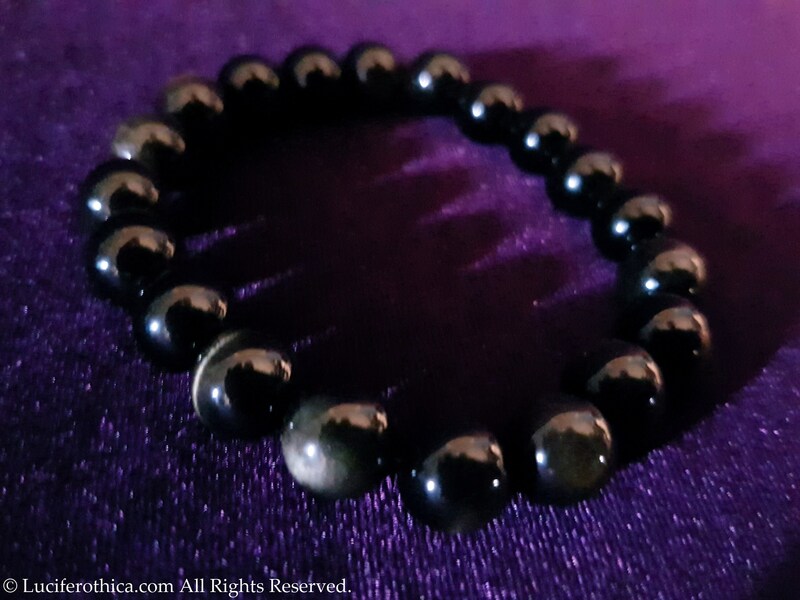 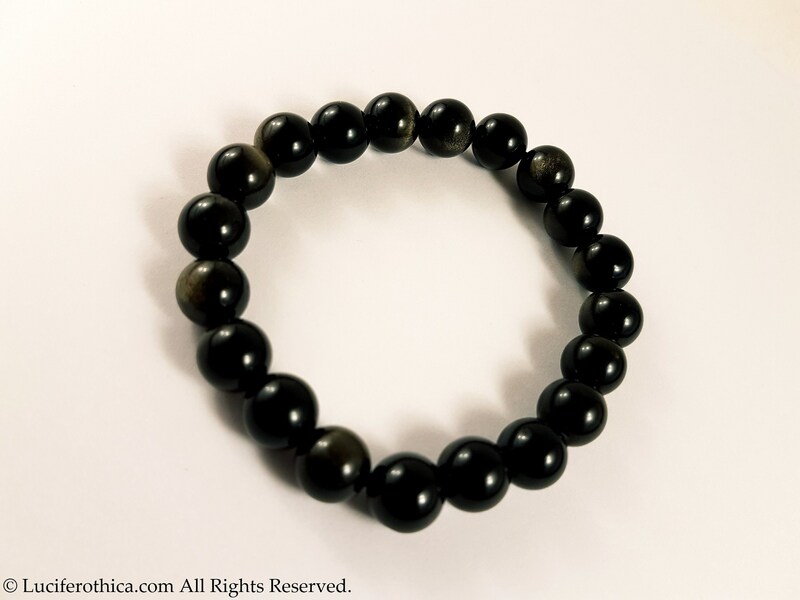 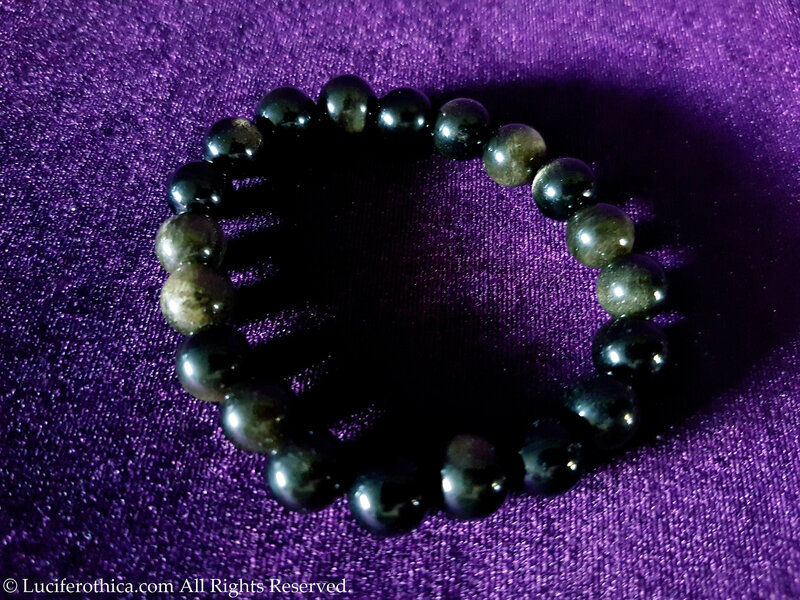 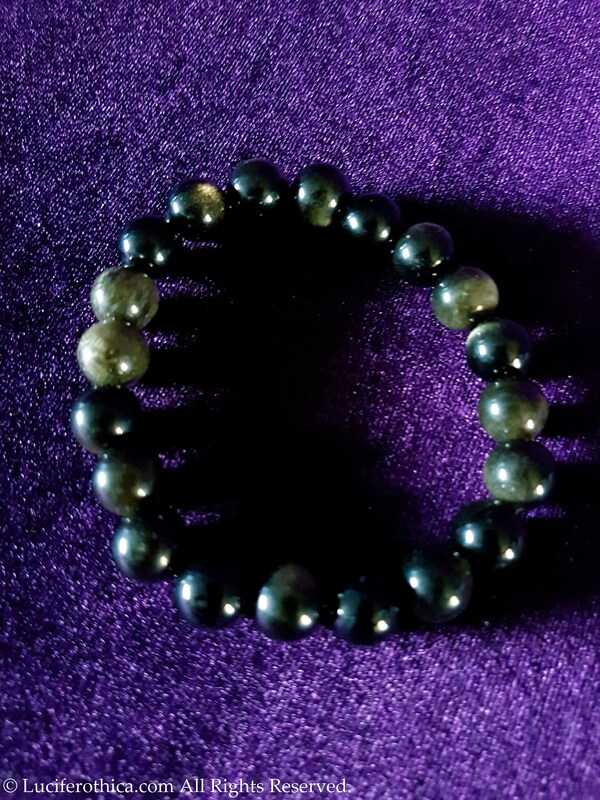 The bracelet contains only Goldsheen obsidian gemstone beads. 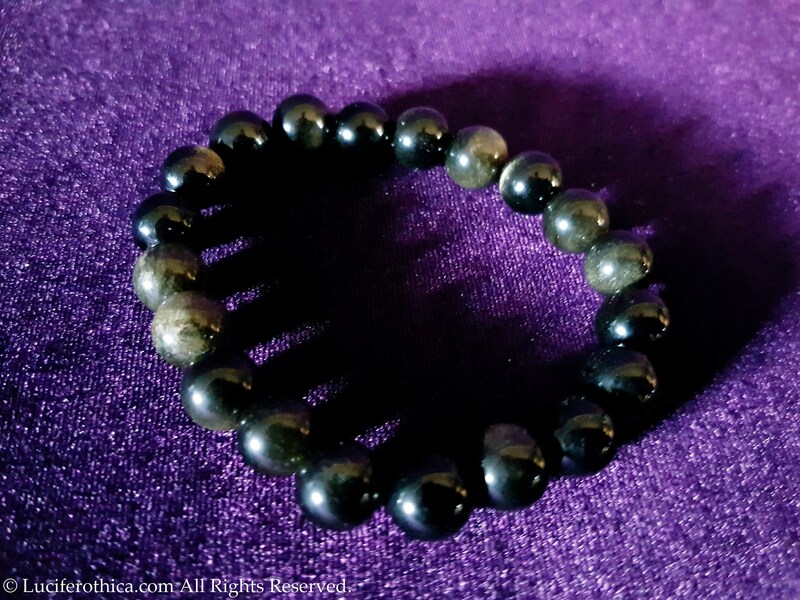 This gemstone is pitchblack with a golden shine. 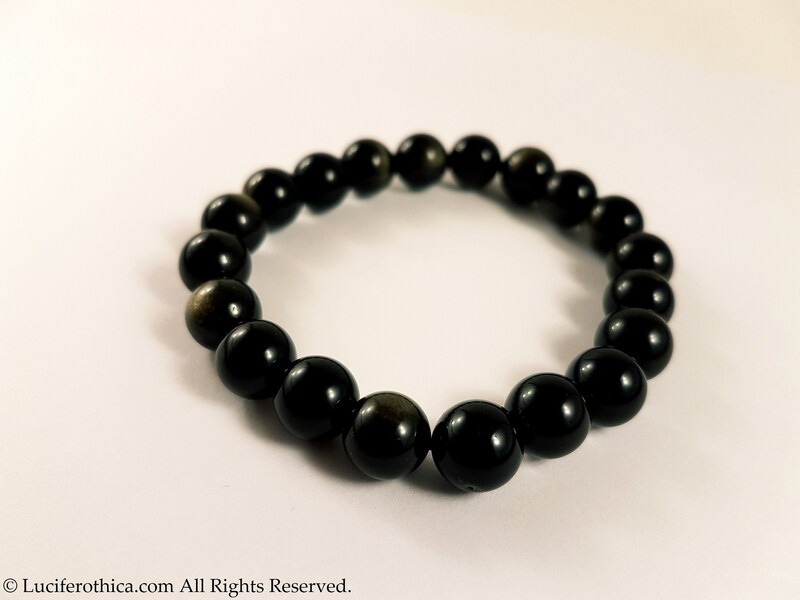 Adjustable in size because it's made with stretchable material.